The ad hoc committee will be chaired by Bhubaneshwar Kailta, who has earlier held important positions in the IOA. The other two members are IOA joint secretary Rakesh Gupta and Indian Weightlifting Federation Secretary Sahdev Yadav. 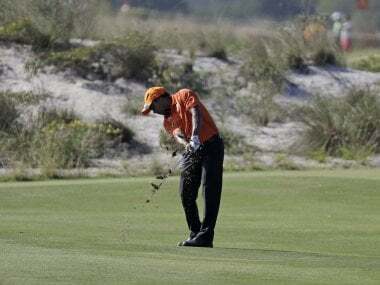 A day after SSP Chawrasia lashed out at the IOA alleging shoddy treatment at the Olympics, India's Chef-de-mission in Rio, Rakesh Gupta, said the golfer should have brought the issues to his notice during the Games instead of complaining four months later. 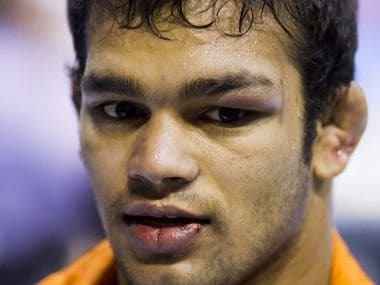 WFI conceded that it was not being able to convince the CAS panel that grappler Narsingh Yadav was a victim of conspiracy and sabotage, and that was why he lost the case and was ejected from the Rio Olympics with a four-year ban. The appeal by the World Anti-Doping Agency (WADA) in the Court of Arbitration for Sports (CAS) against clean chit to Indian wrestler Narsingh Yadav's participation in the Rio Olympics will come up for hearing in Rio de Janeiro. The Wrestling Federation of India (WFI) on Wednesday stood firmly behind dope-tainted Narsingh Yadav, whose fate in the Rio Olympics would be determined by the Court of Arbitration of Sports (CAS) in Rio de Janeiro on Thursday. India's sports minister Vijay Goel on Thursday rejected allegations of misbehaviour levelled against his entourage by the Organising Committee stating that nothing of that sort has happened. Vijay Goel at Rio Olympics 2016: Sir, please pack your bags and return home! 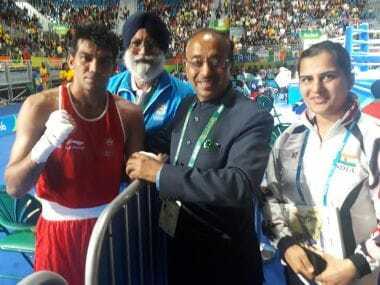 Rio Olympic organisers have threatened to cancel India sports minister Vijay Goel's accreditation after unruly behaviour by his entourage. 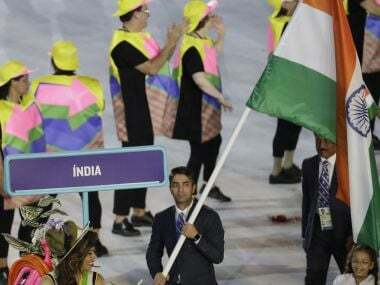 The Indian contingent was led by its flag bearer and only individual gold medallist, Abhinav Bindra, at the opening ceremony of Rio Olympic Games on Friday.